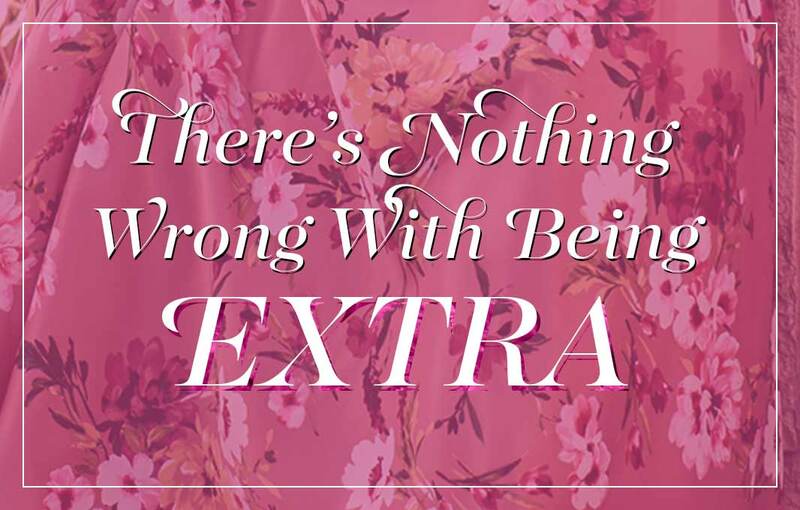 Be chic in chiffon with this long off-the-shoulder prom dress in dusty rose pink. 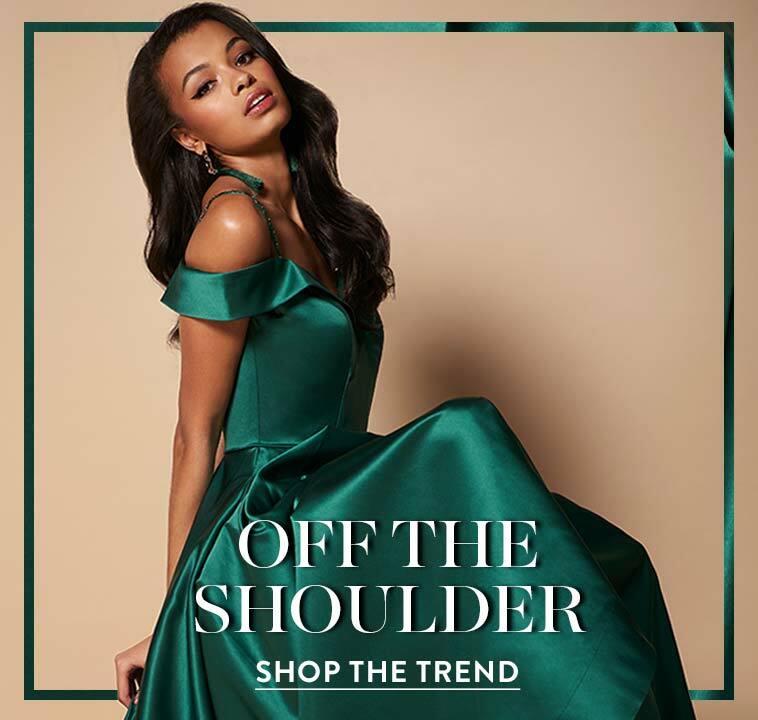 Blending classic design with modern details, the formal evening dress is ideal for prom 2019, black-tie gala, or other formal dance. 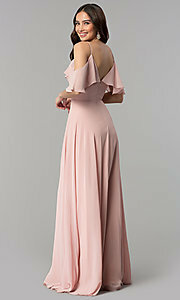 Priced under $150, the long pink prom dress is a soft and subtle style that is as adorable as it is affordable. 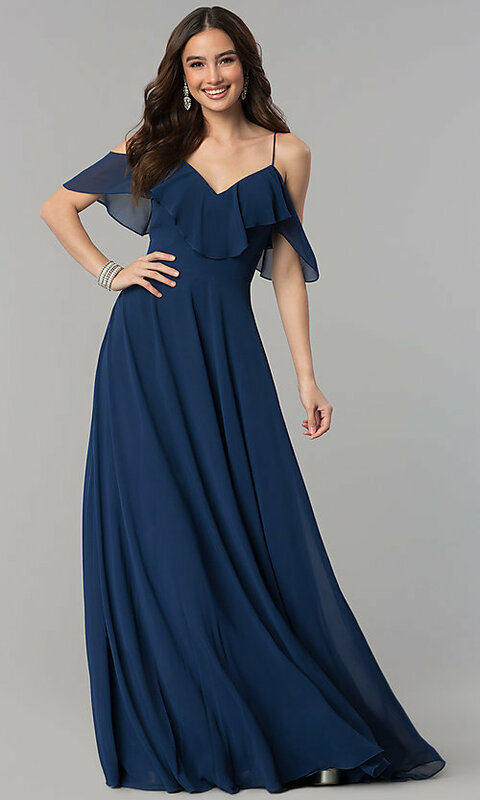 The off-the-shoulder v-neck bodice boasts thin straps and a flirty ruffled flounce that wraps around the bodice to beautifully frame the open v-back detail of this long chiffon dress. 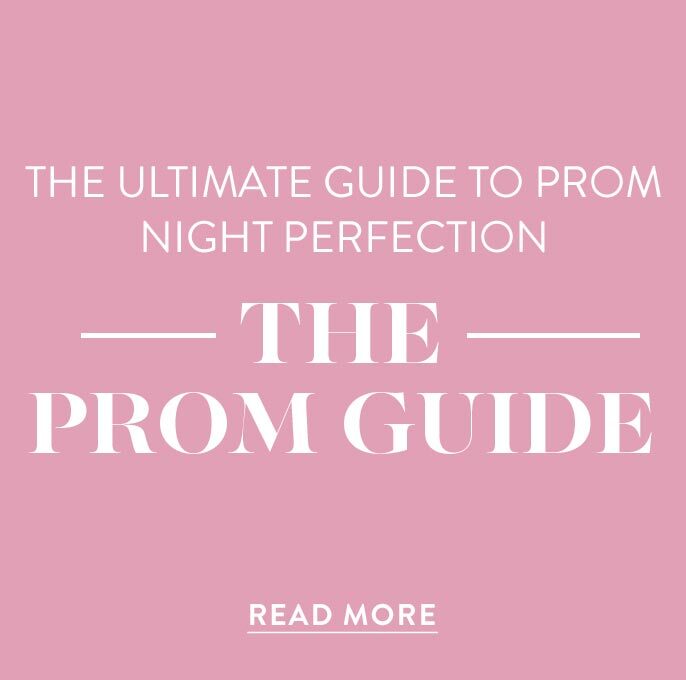 A waist-defining seam accentuates the natural waistline and crowns the flowing floor-length skirt. 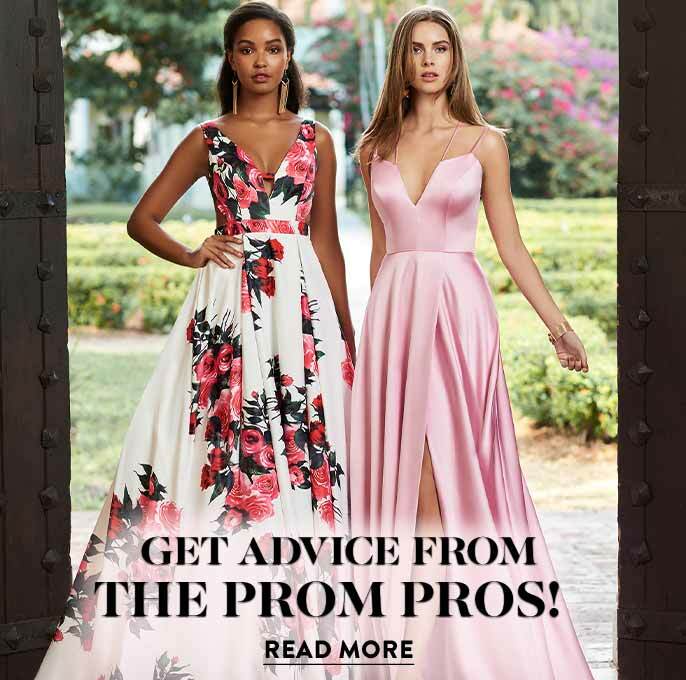 Effortlessly elegant, this off-the-shoulder pink long prom dress with flounce is a surefire way to let your ultra-feminine side shine at any upcoming formal event.